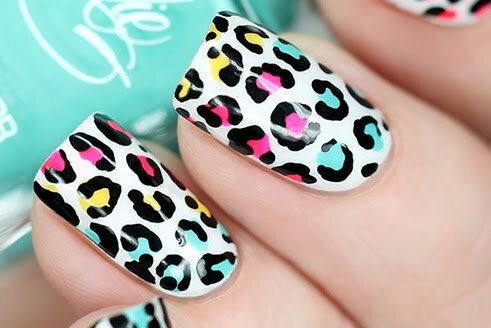 Doesn't it seem like everything that CAN be done with nail polish...HAS been done? That's why it's so exciting when something new comes along. 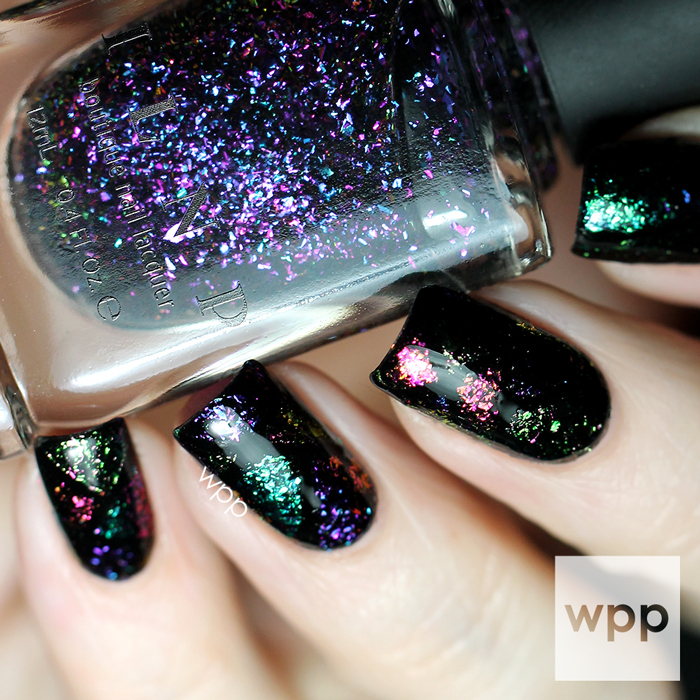 And color-shifting flakies popped up everywhere this fall. Today I have ILNP's take on this new phenomenon. 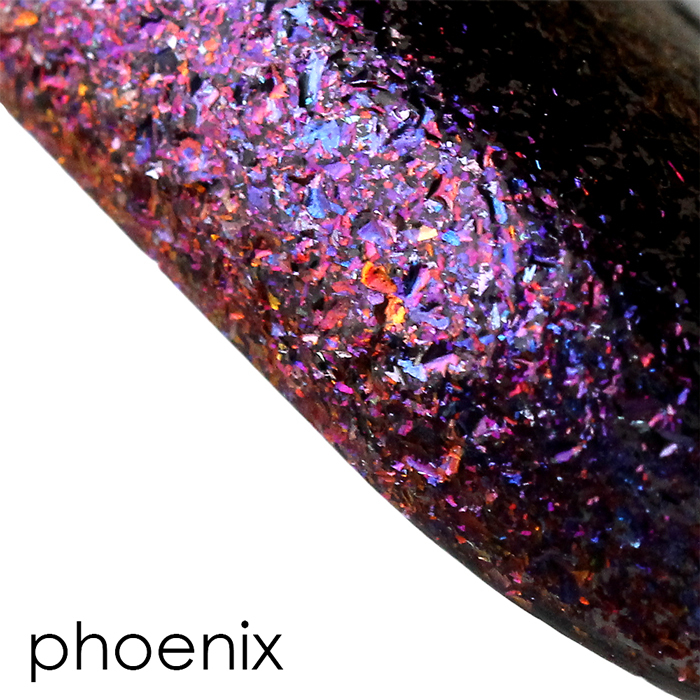 The ILNP Ultra Chrome Flakies Collection has just been restocked. Go grab your faves fast because they always sell out!. I did something a little different for today's post. My camera/lighting setup just isn't the best for capturing color-shifts. Or maybe it's the way I pose my hand? Anyway, I photographed all 13 polishes on swatch sticks. Then I focused on what I love to do best...nail art. The translucent quality of the flakies reminds me of stained glass, so I went with that theme and used four of my favorites (Success, Supernova, Electric Carnival and Metropolis) to create this nail art. I started with a plain black base and used striping tape to lay out the sections. I had to move fast because the flakies would pull up along with the tape if they dried too much. I dabbed a pretty generous coat in each section of one nail with a small brush and immediately removed the tape. 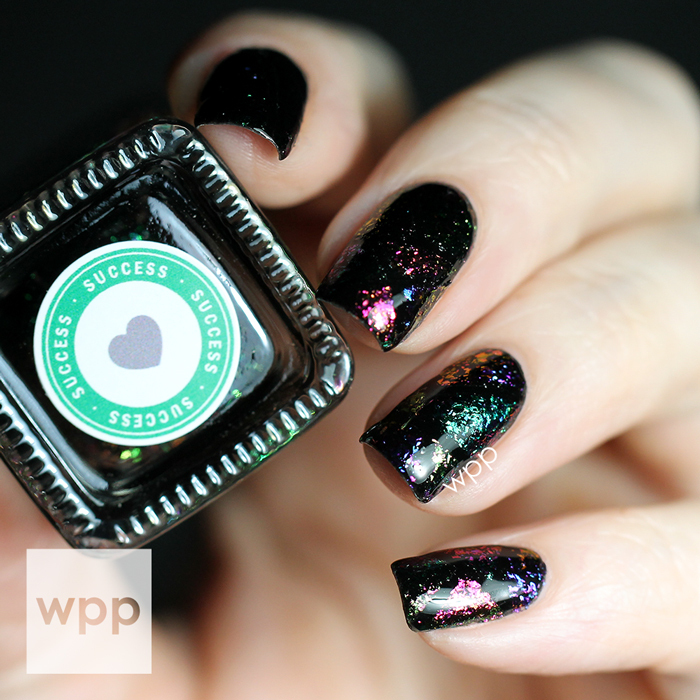 I finished with two coats of KBShimmer Clearly on Top to smooth everything out. I tried a million poses, but still couldn't get the sections to show well in these pics...but you can totally see them in person. This art is really fun in the light as all of the sections have their only little multi-chrome action going on simultaneously. OK...now for the swatches. There are 13 polishes in the collection. 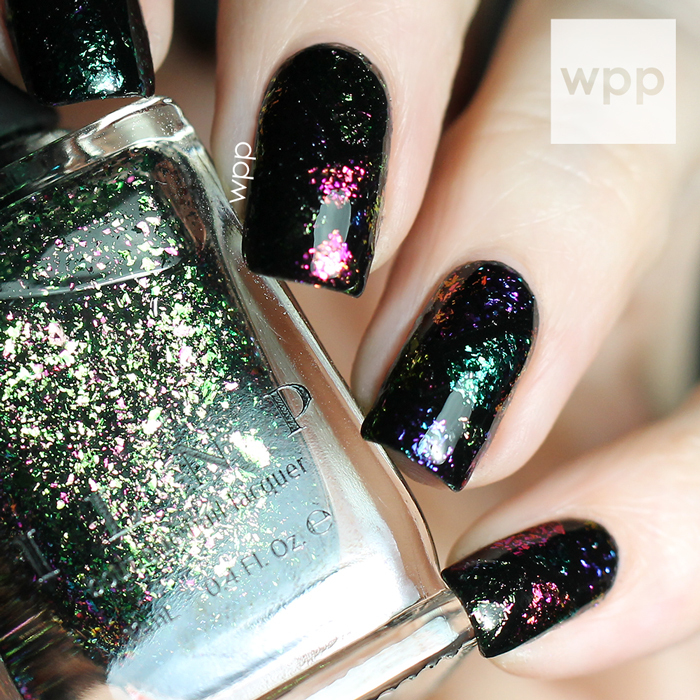 All include a combination of multi-chrome, color-shifting flakies suspended in a clear base. These are surprisingly buildable (as you'll see), but also are amazing over any number of bases, especially black! I used clear swatch sticks. Each one is three coats of polish and no topcoat. I aimed for accurate color, so I cut out the background to make the pics consistent (I shot these on white and sometimes when I adjusted the polish color, the background would go wonky on me...and that drives me cray cray!) A few of these seem very similar in static pictures, but keep in mind that they capture light differently and the colors will shift in different ways. 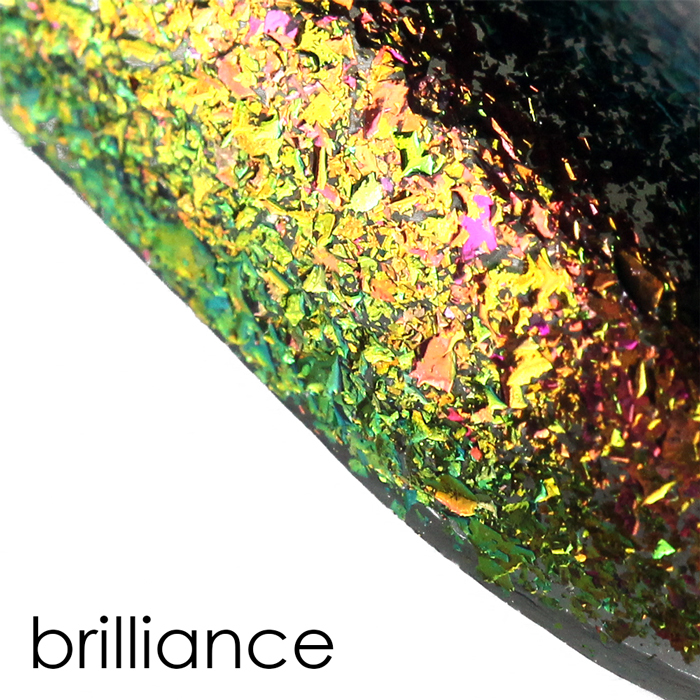 Brilliance goes from green to gold to a rosy bronze. Luna looks mostly blue in the bottle, but it transforms to pink, purple, red and you can see a touch of orange. 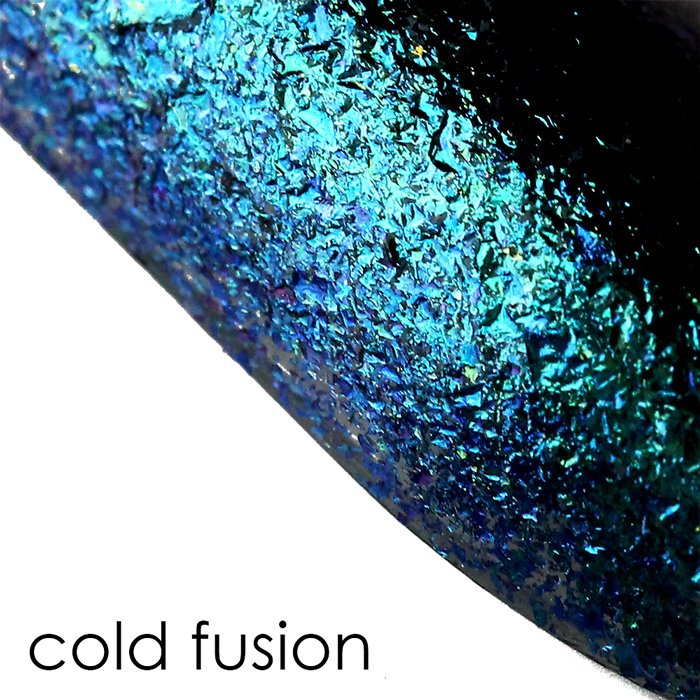 Cold Fusion shifts from blue to teal, with hints of purple. 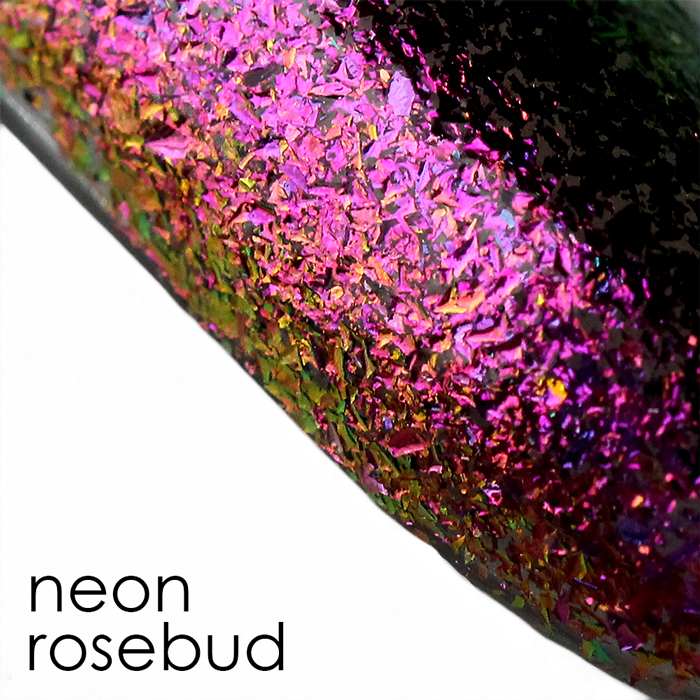 Neon Rosebud is a bright fuchsia that turns a beautiful gold with hints of green and blue. 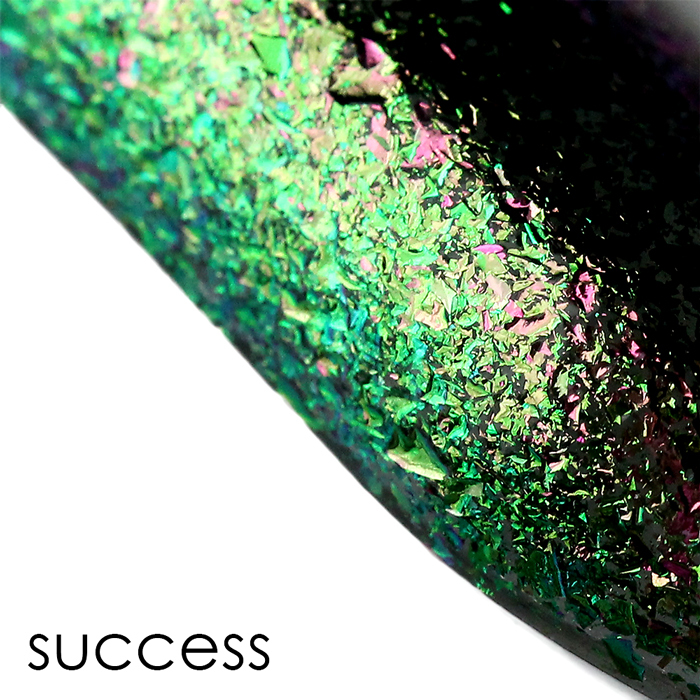 I love Success (no pun intended, LOL). It's mostly green, but shifts to a yellow gold with a touch of pink. Phoenix is similar to Luna. The shift is primarily purple to gold, but the highlights are warmer with oranges and reds. 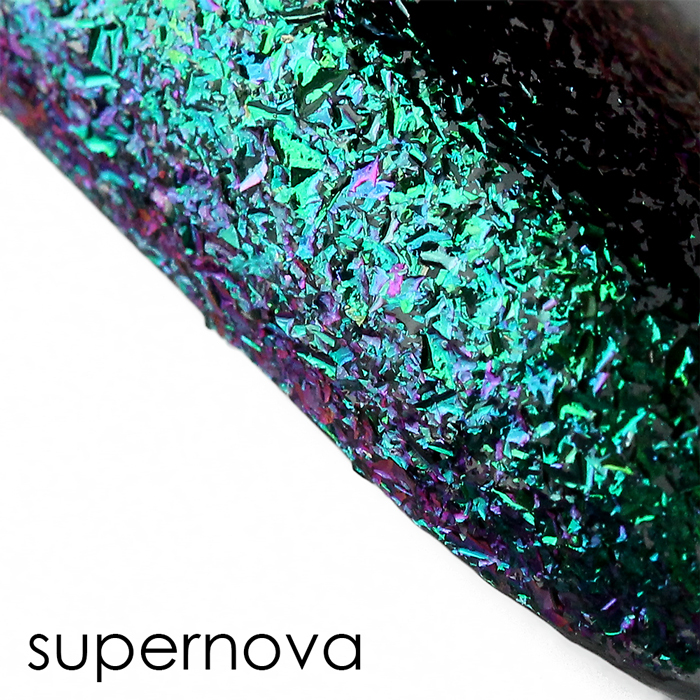 Supernova is amazing. It's mostly teal, but moves to green, blue and purple in the light. 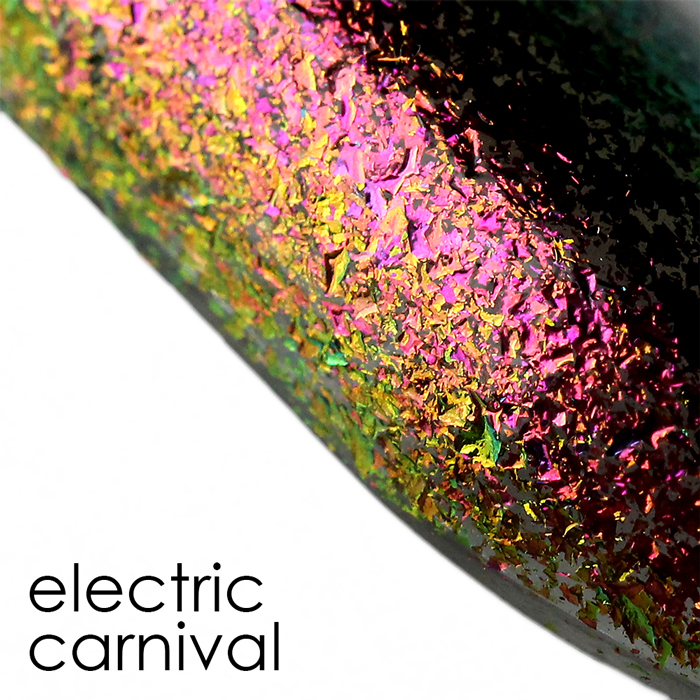 Electric Carnival is a rainbow of red, pink, gold, and green. This one is really stunning in person. 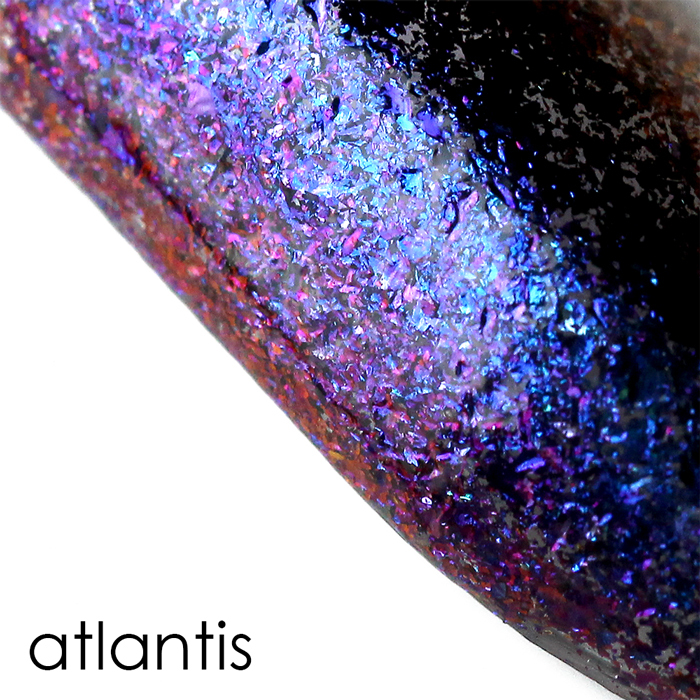 Atlantis is mostly blue and shifts to gold and red. 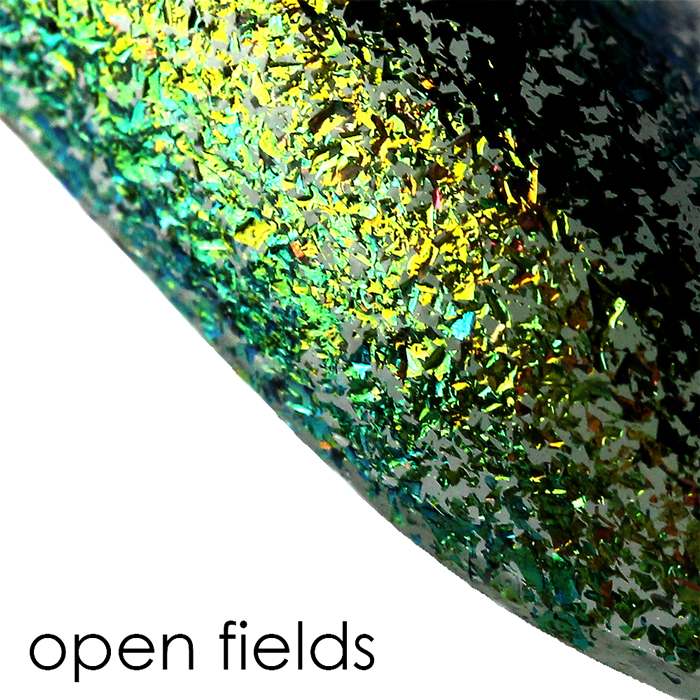 Open Fields is a vibrant green that shifts to gold and teal. 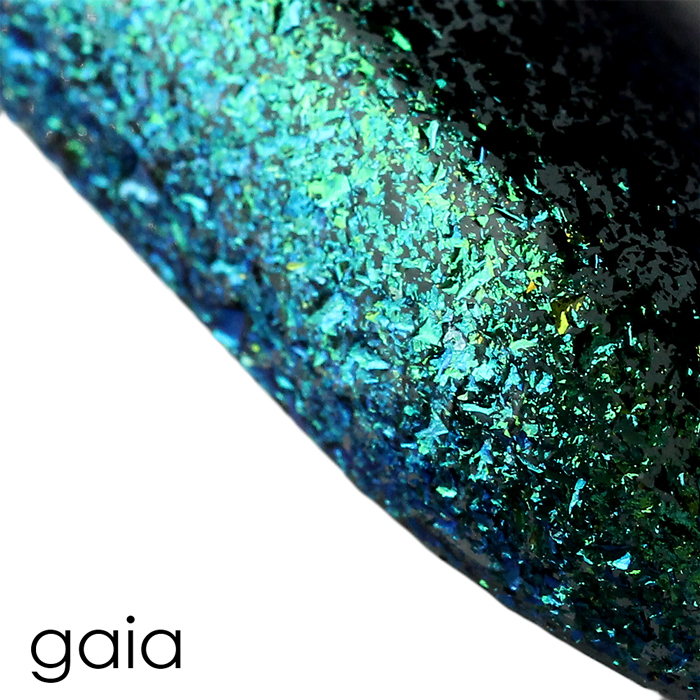 Gaia is more green than Cold Fusion. It shifts to blue, green and gold. 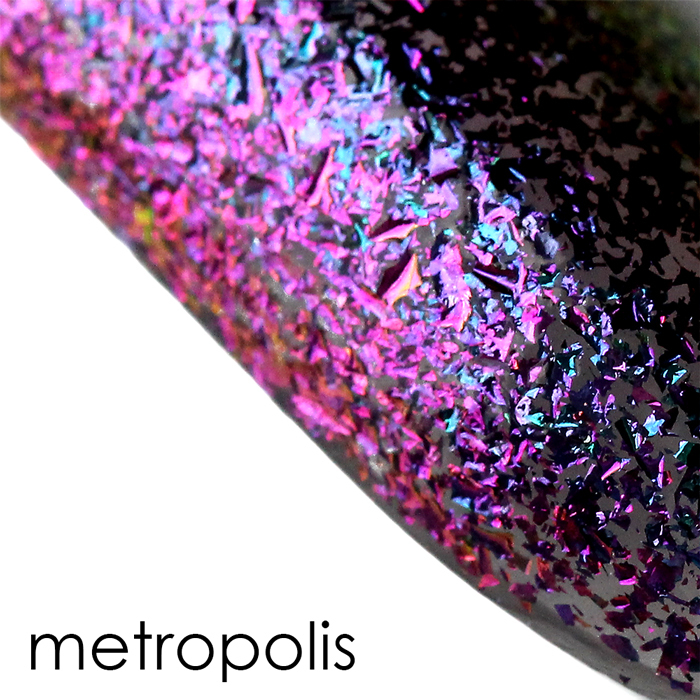 Metropolis is a vivid purple with hints of blue, pink and even gold. 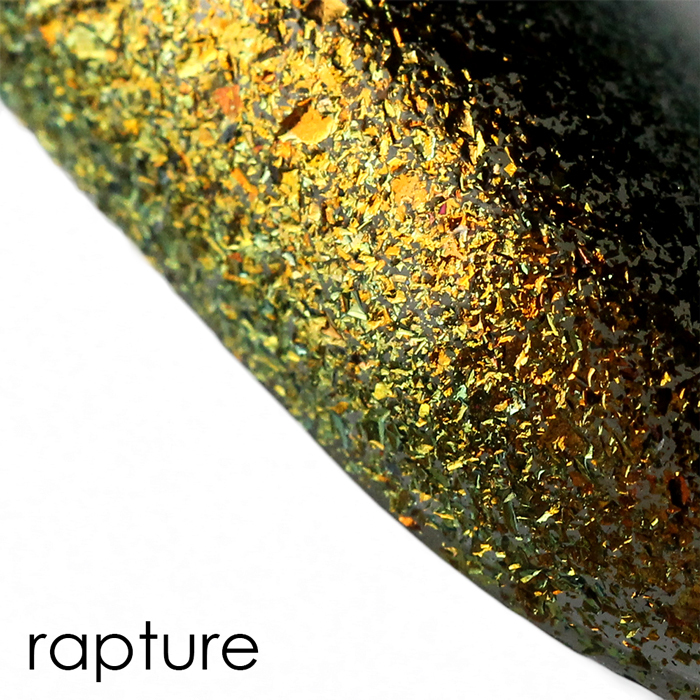 And last, but not least, is Rapture. It's a luxe golden hue that shifts to silvers and blues. The change is more subtle with this one...but it's a gorgeous. 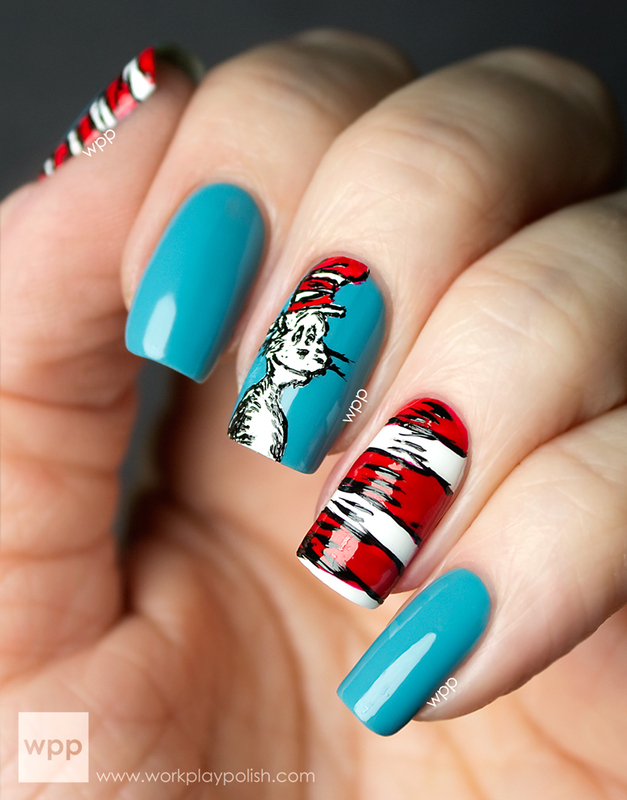 If you want to see some great swatches on actual fingers...go check out Sarah's post over at Chalkboard Nails. She swatched them over black. So what do you think? What I love about them is how versatile they are. So many possible combinations with different bases. Also, this is the first time I've seen ILNP's new packaging in person. It's so classy and unique. The ILNP Ultra Chrome Flakies Collection are available NOW for $12.50 each at www.ilnp.com. 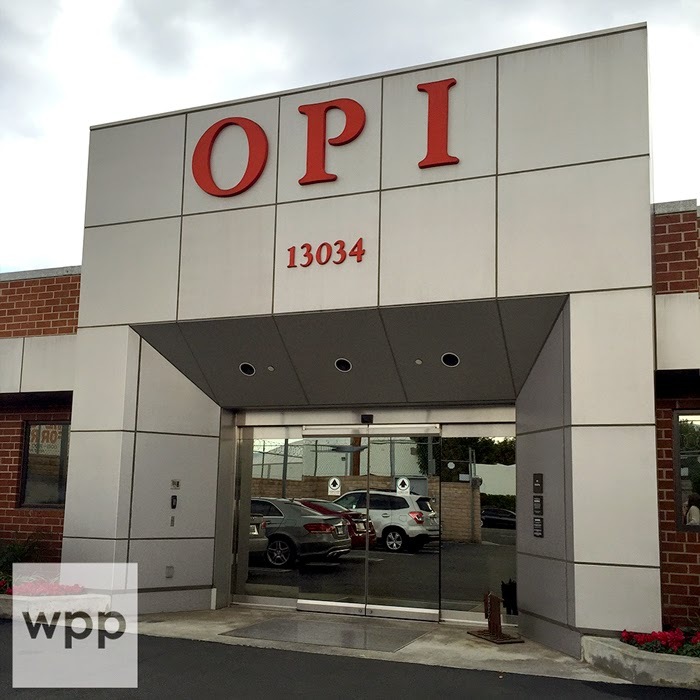 Be sure to follow ILNP on facebook, instagram and twitter for news and promotions.